 If you want to take your camping up a level then browse these articles that will help refine your camping experience and create that perfect family outdoor adventure. Ever wanted to try and light a campfire without using matches? Here are 10 ways to light a fire without matches that you can try. Getting inflatable tents back in their bag can be very difficult. Here's an eight-step process that can help get your tent back in its bag. Have you ever wanted to try Hammock Camping? I have. Read this to see what gear I took and how I got on. Learn from 3 valuable lessons we learnt that took our family camping to the next level. Take the family camping? Planning a campfire? Here are a few types of campfire you can build, from keeping warm, to cooking a meal. We show you how easy it is to provide your family with some additional shelter at the campsite by using a tarp kit. No one likes a tent full of water. Here's some really simple ways to quickly stop the problem, and it won't cost a lot either.